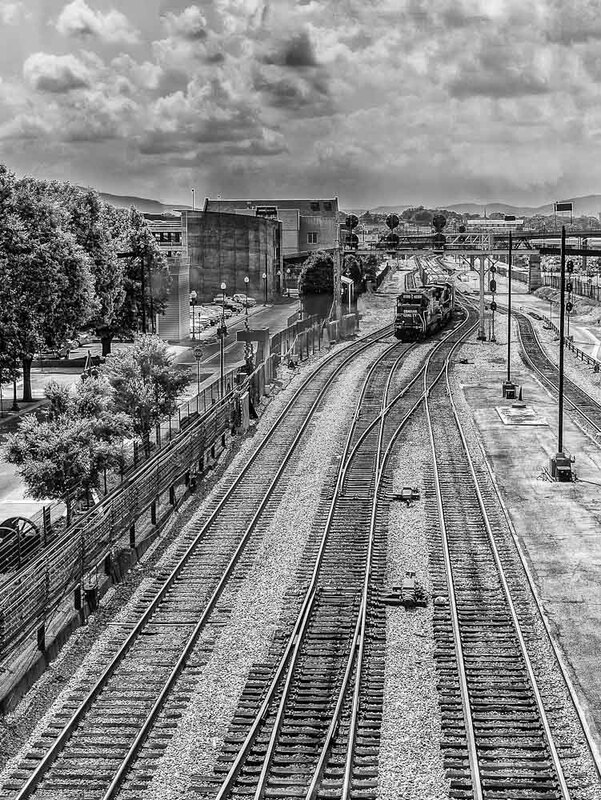 What can I say other than what’s in the title…I took a rather drab image of a train switch engine in the Roanoke Yards in the center of the city, and made it look more dramatic. I was standing in a glass covered walkway over the tracks, so had to find some way to get rid of lots of window glass glare coming from inside the walkway…the dramatic touch made that happen for me. Mike this is a great image, I would never had know it was shot through glass, good post processing.